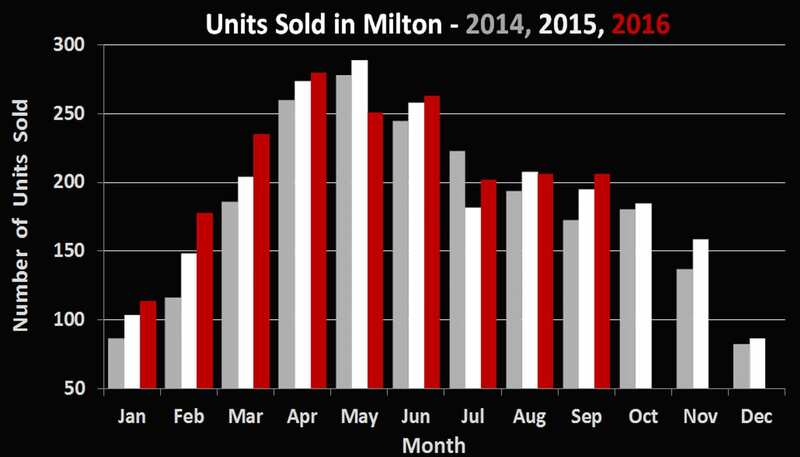 Milton’s 206 residential sales in September 2016 represent an increase of 5.6% in volume when compared to the same time last year. 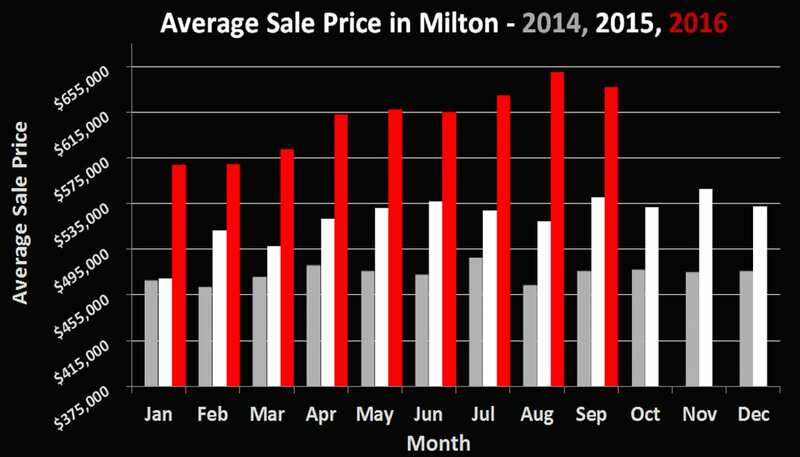 As we’ve become accustomed to seeing, the average sale price of $636,600 was up a staggering 17.8% year over year. These figures have been the norm since early spring and the government has once again taken measures to attempt to “cool” down the market. On Oct. 3, Finance Minister Bill Morneau announced a major shakeup of Canada’s mortgage and foreign-ownership rules for real estate to take effect this fall. This will mainly affect buyers who are putting less than 20% down on properties. They will now have to qualify at the advertised 5 year fixed rate (roughly 4.6%) instead of the promotional rates of 2.5-2.6%. This can decrease the amount they are able to spend quite dramatically (upwards of 100k) for someone with 5% down looking to spend 600k. The government is also closing a tax loophole which allowed some foreign buyers from having to pay capital gains taxes. These regulations come into effect October 17th and it will be interesting to see how the market reacts. It certainly seems like first time buyers will have an even more difficult time getting into the market. If you have any other questions pertaining to these new changes, or anything else real estate related don’t hesitate to call or email. We’re never too busy to chat!